The stores have started to decorate and fill with the sounds of the holidays, which can only mean it is time to start shopping for the special people in your life. Unique handcrafted items, and locally made products make perfect one-of-a-kind gifts for your family and friends this Holiday season. 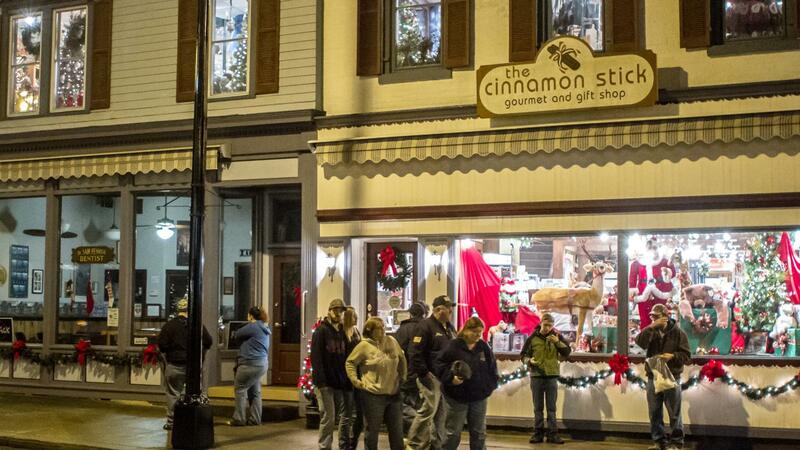 Corning’s Gaffer District charming small-town feel gives you the perfect atmosphere to find those perfect gifts. Shops, studios, and galleries line Market Street full of opportunity to find gifts for everyone on your list. Connors Mercantile has a wide variety of jewelry, handbags, sweets, and collectables anyone would be thrilled to find under the tree. 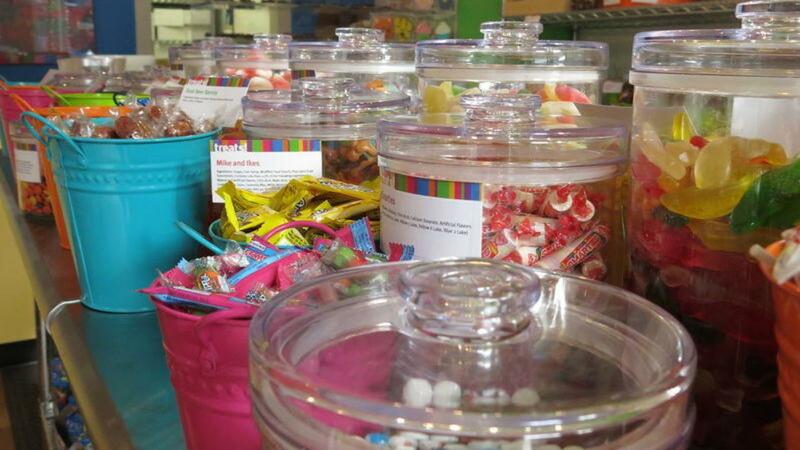 Across the street find your inner child at Dimitri’s Confectionery Treats. Offering bulk nostalgic candy to current favorites, specialty Ghirardelli dipped treats, gift baskets, and more this is the spot to find just the right gift for that person with a sweet tooth. It wouldn’t be a mention of shopping in Corning without finding beautiful works of glass art to gift. Walking past Vitrix Hot Glass Studio you can look past the beautiful glass art displayed in the window and see the glass being made in the back of the studio by the skilled glassworkers. 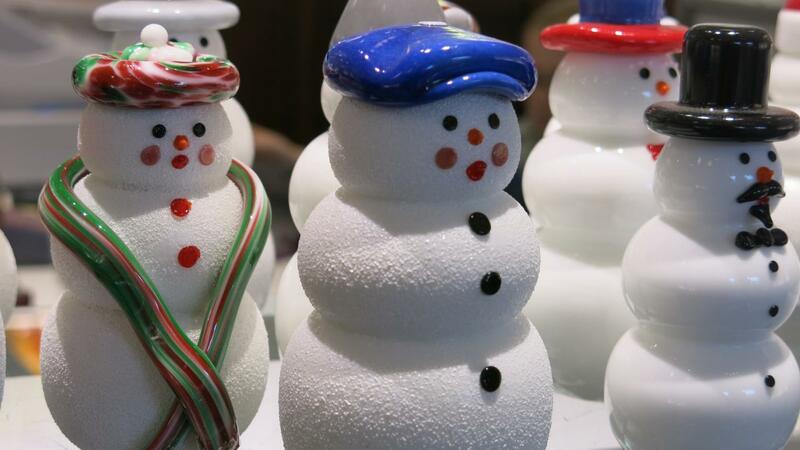 Step inside and find a wide array of cheerful and fun snowmen, each with their own personality. Hammondsport Village Square is filled with boutique shops that are sure to help you find unique and presents that will be cherished for the years to come. Shethar 57 has a collection of antiques, vintage, rustic, and Mid-Century Modern goods in an old Hardware store in the square. For a wide variety of collectables, gourmet items, candles, holiday décor, and other unique choices visit The Cinnamon Stick. The Tiffany and Treasures Trail features glass shops and studios, as well as pottery studios throughout the region. The Corning Museum of Glass has a gorgeous gift shop with almost anything you could imagine in glass. 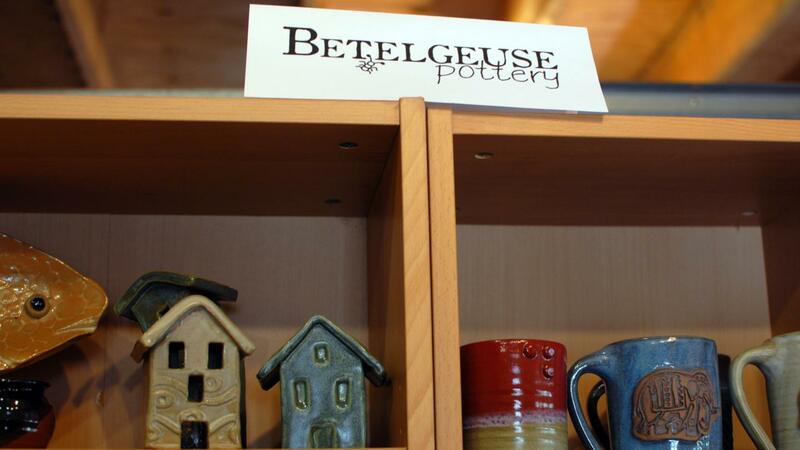 Give the gift of beauty and functionality with pottery from Betelgeuse Pottery. Dishes from mugs to plates, and a fun piggy-bank will wow your family and friends. You can find beautiful, sentimental, and unique gifts in charming boutique stores and studios all through out Corning and the Southern Finger Lakes. Remember to shop local, and to support small businesses on Small Business Saturday November 30th.